When you saw the title I bet you were thinking this would be a fashion post. My bad. Don’t be disappointed though because it’ll be just as good. 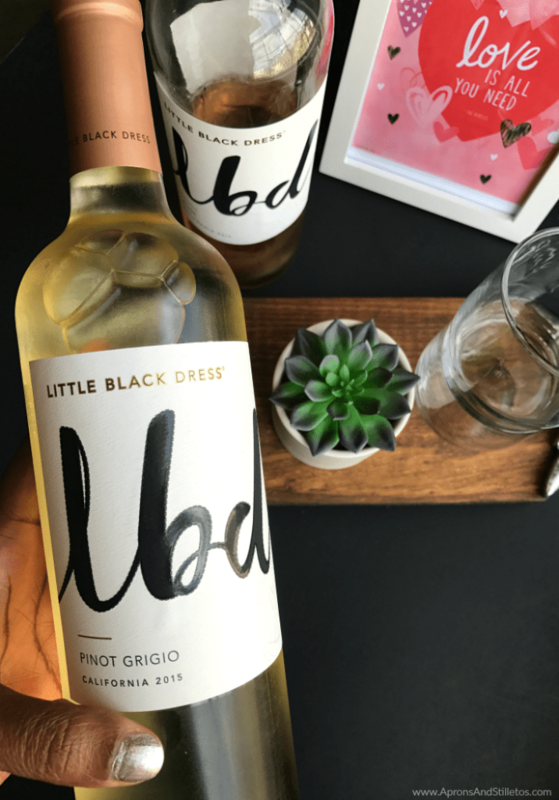 This Little Black Dress isn’t a dress at all, it is an affordable and delicious female-centric wine collection. They are the brain-child of Margaret Leonardi and are crafted in California. 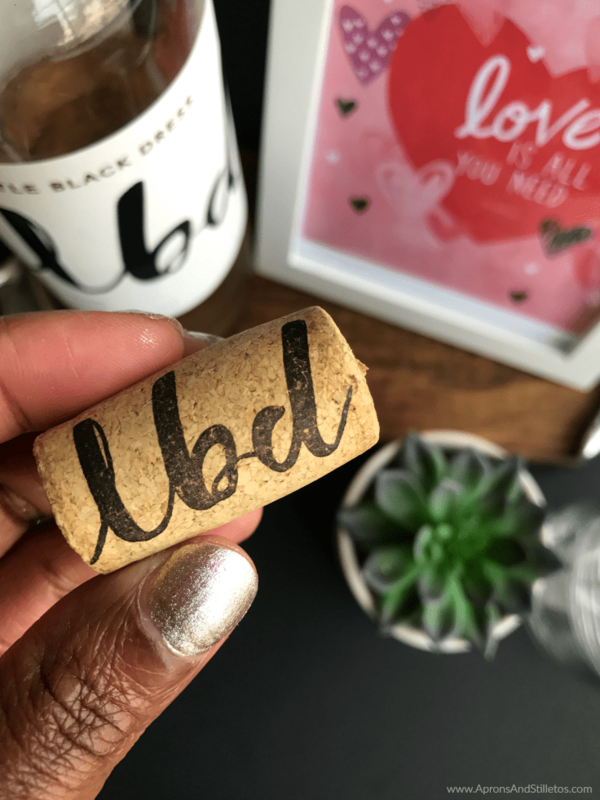 I adore the cute feminine packaging from the muted pink and peach foil to the delicate LBD font on the label and cork. Grapes: This wine is predominately Pinot Grigio, with small amounts of Chardonnay, Muscat, and Viognier grapes. Flavor: It has a light, pale yellow color with scents of apple, pear and lemongrass upfront followed by hints of orange and tangerine. 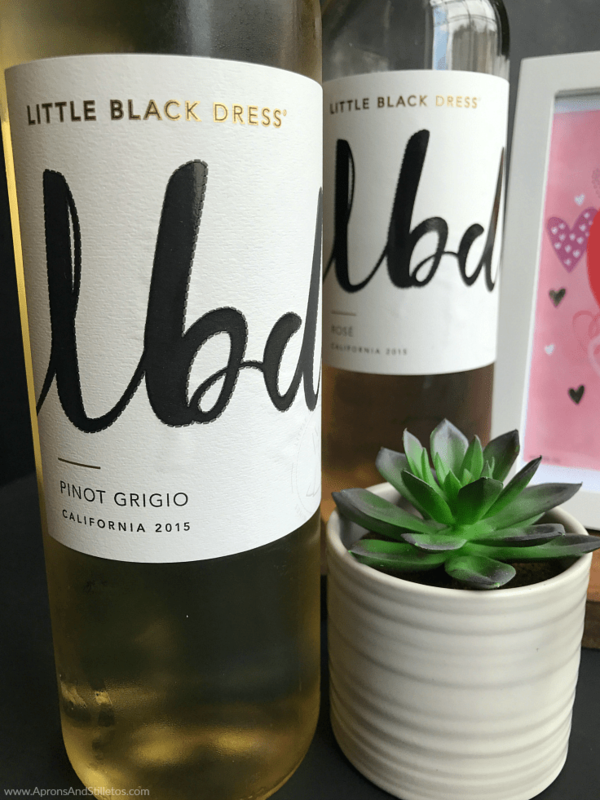 Pairing: Little Black Dress Pinot Grigio pairs well with acidic foods like salads with balsamic vinaigrette dressing, dishes with soy sauce bases, and fish served with lemon. Grapes: This wine is a mix of Gewurztraminer, Muscat, Chardonnay, Zinfindel and other white grapes. Flavor: It has a vivid, salmon-pink color with scents of strawberry and grapefruit. It has the flavor of juicy ripe berries and a sweet taste you’ll love. 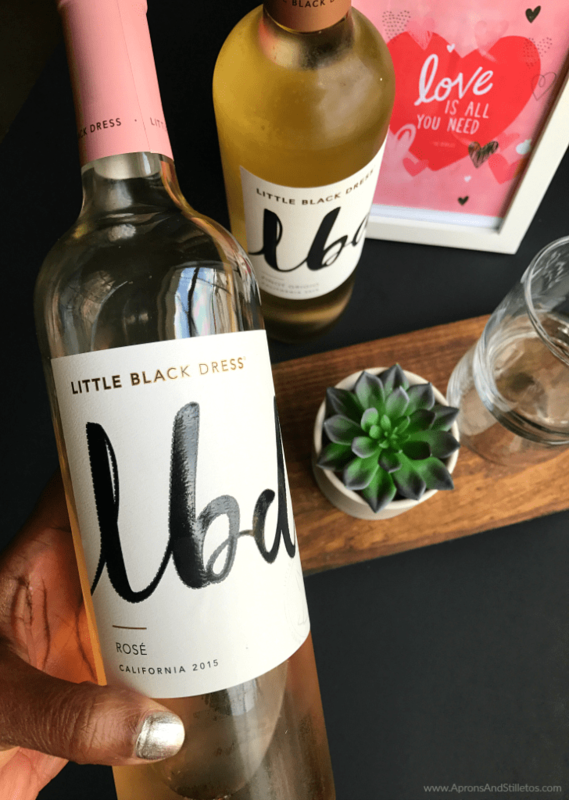 Pairing: Little Black Dress Rosé pairs well with light summer dishes, especially salads, seafood, grilled meats, and fresh cheese. 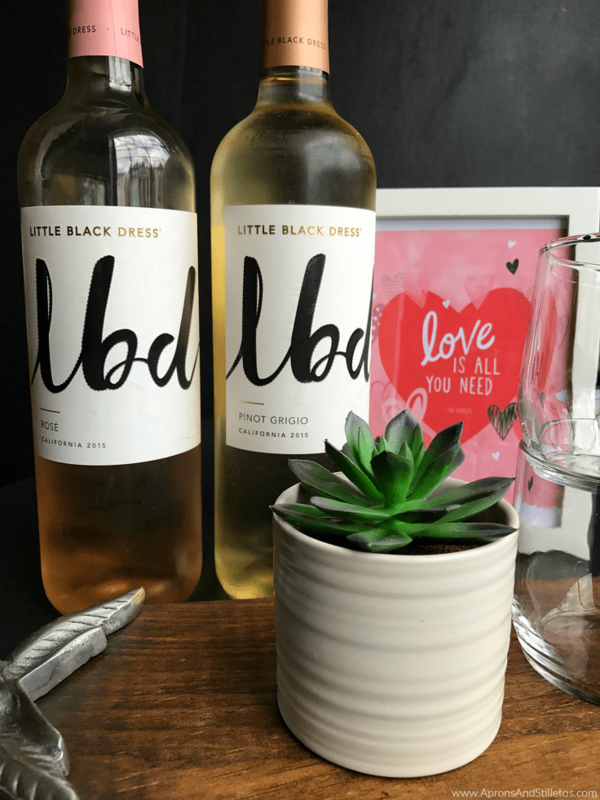 You can find Little Black Dress in your local grocery store. Use the store locator to find a retailer near you. My girlfriend Jamillah is a huge wine lover! 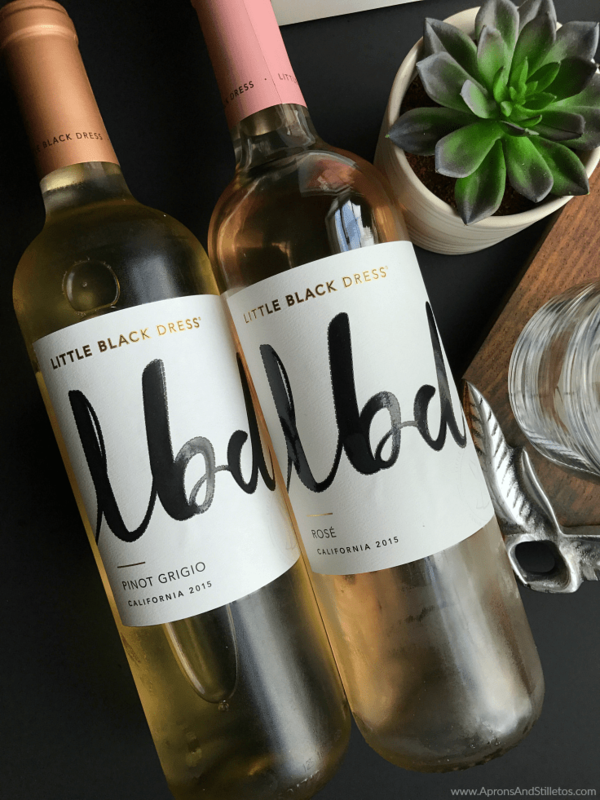 I LOVE the name of the wine because it is SO her personality!! I have to find it and gift it to her! !